Parque Nacional del Manu. Foto: ANDINA/Difusión. 15:09 | Lima, Apr. 14. The award "Environmental Finance Award of the Year 2015" in the category "Sustainable Forestry" has been granted to the climate fund Althelia for the projects developed in the natural protected areas of Peru. Althelia, together with Peru's National Service for Protected Areas (Sernanp) and the Peruvian Association for the Research and Comprehensive Development (AIDER), has carried out works, which aim at preserving landscapes in areas characterized by the high biodiversity. These projects are executed at the National Parks: Bahuaja Sonene, Cordillera Azul and Tambopata National Reserve and financed by the prestigious Environmental Finance magazine. For the first project, a connection was established between Althelia Ecosphere and Credit Suisse, in order to issue "Nature Conservation Notes." Such notes are financial products for the conservation of nature, which allows investing in the said market by subscribing "tickets." The money is then invested in REDD+ projects conducted in Tambopata, Bahuaja Sonene and Cordillera Azul. The objective was to collect a €15 million fund for the preservation of these protected areas. The goal was achieved by the European market in a few hours. 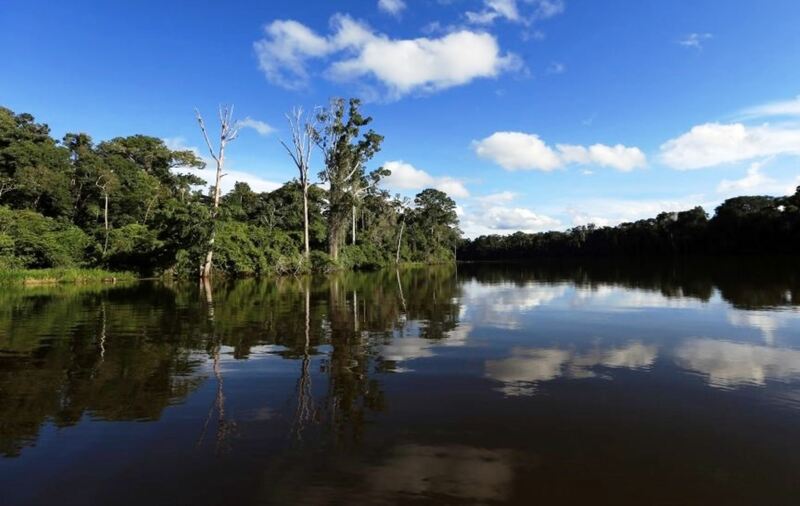 The second option represents the investment in REDD+ projects, located in Bahuaja Sonene and the Tambopata National Reserve, which have been developed by both, Sernanp and AIDER. Such projects include forest preservation, the recovery of degraded soils and the development of sustainable organic agriculture, which can benefit the local farmers, who can later produce around 3,200 tons of cocoa. The Peru-US debt swap "Fondo de las Américas" has co-financed this project by contributing with US$2 million. Peru's natural protected areas show the world the existing opportunities available to invest in conservation. Projects like these promote the sustainable use of these areas and mitigate the threats that could affect them and the environment.